911 Restoration Tucson is the full service provider that does it all for you in a manner that is effective. Should your home be affected by floods or leaks, the restoration job we perform for you will stand the test of time. Years down the line, when you are laying in bed while taking a deep breath, you will know it all started with a fresh start. You get help fast with our response time of within 45 minutes. Same-day service, means you are never left to hang out to dry by yourself. We value professionalism, so count on us to explain the full process. The water damage Casas Adobes team is here for the fresh fix, and long lasting peace you are deserving of. If you experience nauseating headaches in rooms where there is a pungent odor, then it is possible that you are living with a mold infestation. They can dull the quality of your life, which is the complete antithesis to what the fresh start is all about. If you are in need of new beginning with your home looking almost brand new, give us a call at 911 Restoration. The water damage Casa Adobes team is IICRC certified in order to bring you the restoration services that will be guaranteed to last. This certificate proves to homeowners that we are proficient in the use of restorative technologies. Knowing how to get water out of your home will get worries off of your mind, thus leaving plenty of room for peaceful thoughts to move in. Your mind will be as blissful and your home. beautiful, when we are done with it. For example, flash flooding is one the leading causes of home disaster in the Arizona. Therefore, we have become flood cleanup experts. The moment water breaches into your home it can leave a lot of room for disaster. Water can slip through into the floor. If left undetected, it can cause severe wear-and-tear. But this is not problem for us at 911 Restoration, as we use infrared cameras to find water than may have gone into a dark and obscure corners. Call our water damage Casas Adobes team with 911 Restoration Tucson if you are in need of help that is reliable and long lasting in no time at all today! Casa Adobes residents will experience three main spikes of humidity, which can exacerbate any type of existing water damage. In February, June, and in August, the humidity spikes to above 90%. With the increased heat waves that come with these months as well, then it may also worsen health symptoms with mold. For this reason, we have made sure that the water damage Casa Adobe team is capable of all manners of water and disaster restoration. 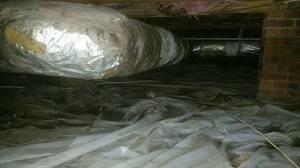 See, mold is one effect of water damage, and a mold colony is always an indicator that one is occurring. So, when you call our team, then you never have to spend time or resources finding another one to do the rest of the job. When we come in, we use the most sophisticated tools from advance dehumidifiers for water extraction, to hazmat suits for mold removal. 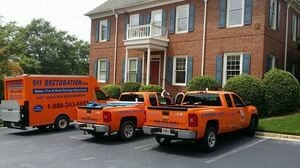 When you call us you are calling a licensed, bonded, and insured team that is going to make things better again. Call our water damage Casas Adobes team with 911 Restoration Tucson for the best services in town that will take care of you and your lovely home today!